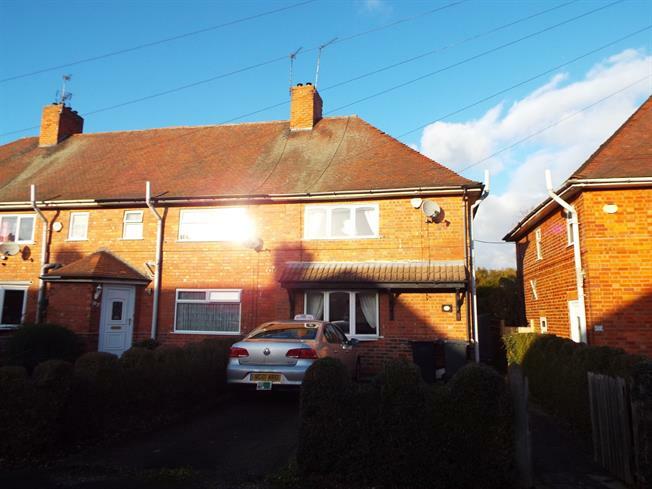 3 Bedroom End of Terrace For Sale in Nottingham for Offers Over £155,000. This three bedroom, end terrace property is ideal for a first time buyer or investor alike and should be viewed to fully appreciate what it has to offer. To the ground floor is an entrance hall, open plan lounge and dining room and spacious square kitchen. Rising to the first floor there are three good size bedrooms and a recently refitted family bathroom. Outside to the front is a low maintenance garden with driveway. To the rear is good size garden with hedge and fenced boundaries, patio and lawn. Bay window facing the front. Radiator and gas fire, ceiling rose. Sliding, patio door to the garden. Radiator. Double glazed window facing the rear. Radiator. Roll top work surface, wall, base and drawer units, stainless steel sink with mixer tap and drainer, integrated electric oven and gas hob, space for washing machine and fridge/freezer.